The world’s biggest public oil company is facing a challenge: it needs to continue to grow in a world that is drastically different from what it used to be, back when Exxon reigned supreme and the world had insatiable hunger for its oil. That time is now behind us. Today, we have the Paris Agreement on climate change, a major drop in large new oil discoveries on a global level, sanctions against two of the countries with the biggest oil reserves in the world, and, of course, a shift from oil to gas and renewable energy. All of these are potential headache inducers for Exxon, and this is reflected in the movement of its stock price and analyst price targets, according to a Bloomberg article. While the shares of the company still trade at a premium to its peers, this premium is shrinking, Kevin Crowley writes, as the giant struggles to keep up with the changing times. 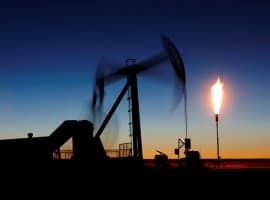 For starters, it is finding it hard to replace its reserves—a problem shared by most large oil companies after the oil price crisis dried up funding for new discoveries. The situation is made worse by U.S. sanctions against Russia and Venezuela, sanctions that specifically target the oil industry and prevent Exxon from taking advantage of their still-abundant resources. So, Exxon is actively seeking oil elsewhere. The company recently spent US$1.2 billion on exploration blocks in the pre-salt zone of the Brazilian continental shelf, which is widely believed to be the new hotspot for the oil industry. Exxon also recently announced oil discoveries offshore Equatorial Guinea and Guyana, so it is by no means sitting idly by, waiting for the sanctions to expire so it can return to Russia. 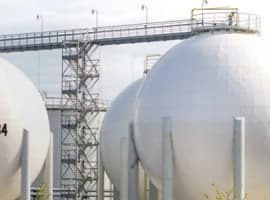 Seven years back, it acquired shale gas producer XTO Energy, and although some analysts believe the acquisition was badly timed—the price of gas slumped from US$5 per mmBtu at the time of the acquisition to US$1.6 per mmBtu last year - it did provide Exxon with exposure to shale gas, which, most analysts believe, has a bright future. This exposure came belatedly, according to Crowley and analysts he spoke to. Exxon, they argue, missed the shale train, and now has to catch up, which the company is trying to do. Earlier this year, when Darren Woods took the helm from Rex Tillerson, he announced it will use a third of its 2017 drilling budget for shale wells. In 2018, half of Exxon’s global spend will go into shale oil and gas. In regard to climate change, Exxon has finally given in to shareholder pressure to start reporting on the business risks associated with environmental policies around the world. The company has been notoriously slow to acknowledge climate change and the contribution of the energy industry to it but it has finally gotten there. It’s naïve to expect such a large company to be nimble and quick to adapt to changing environments. Yet Exxon is getting there, however slowly and unwillingly. Brazil, Africa, and Argentine can help it with the reserve replacement drive. Gas, LNG, and petrochemicals will help it with the bottom line. Exxon is not going down. Nope, the world is still the same - last time I checked the US debt is still pacing onward and finances the energy consumption (among other things) for this country !